In this series we’re taking a look at homes sold at various price points around LA’s Eastside in the first half of 2017. Since homes in today’s market rarely sell at their asking price, we’ll be focusing instead on selling price. 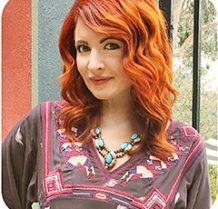 What will a budget between $600,000 – $700,000 get you in Eastside LA and what kind of process should you expect? Read below to find out. 708 N. Adams St: This Spanish home in the Woodbury pocket of Glendale is about 100 feet from the highway and has 2 different apartment buildings staring down at it but if you can get past that it’s oozing with original Spanish character featuring a fireplace, leaded glass, hardwood floors, arched doorways, updated kitchen & bath, plus access to Glendale’s top-rated schools. Was asking $649,000 and sold for $669,000. 768 Museum Dr: Attention tiny home fans! 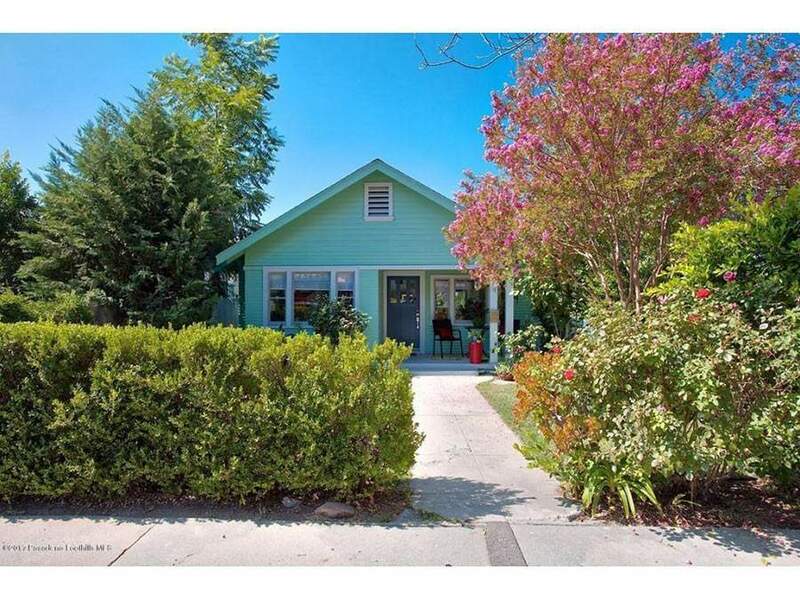 What this little 1bd 683 sq ft bungalow lacks in square footage, it makes up for in character, updates, and serene outdoor space. Sitting on a woodsy lot on the edge of Moon Canyon in Mt Washington, you’ll probably spend much of your time hanging out on the almost 400 sq ft of decking or gardening in your shaded yard. This sits in one of the most coveted school districts in LA, but would be a tight fit for kids. Was asking $525,000 and sold for $665,000. 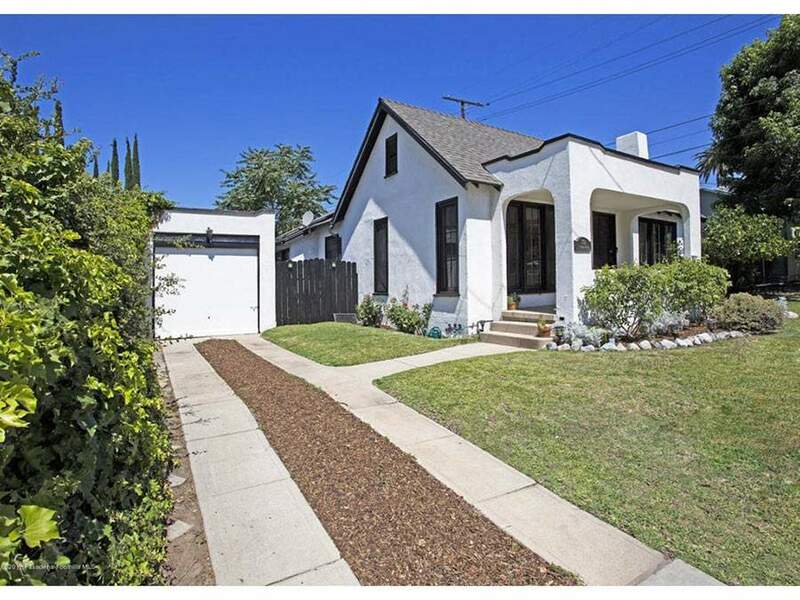 4906 Granada St: This 2bd 926 sq ft Spanish bungalow on a corner lot in Highland Park has been updated with refinished floors, new appliances, marble countertops, new decking, and 2 bathrooms. Was asking $649,000 and sold for $670,000. 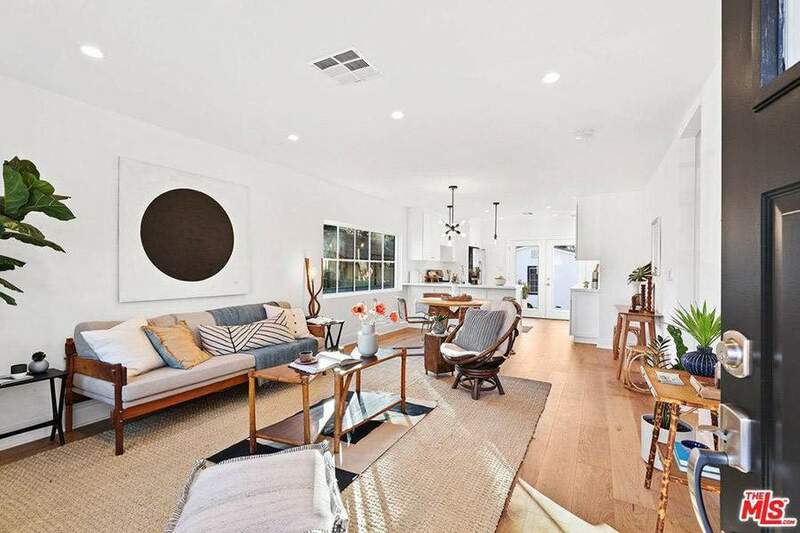 564 Meridian Terrace: This 824 sq ft Highland Park Bungalow has been updated with modern finishes but also retains it’s original hardwood floors, built-ins, and vintage vibe. The xeriscaped backyard is crowned by a garage that’s been converted to a work studio with water, power, and casement windows. Was asking $659,000 and sold for $690,000. 3625 Edenhurst Ave: This Atwater Village home comes tenant occupied and in need of updates and repairs but it’s walkable to dozens of great shops and restaurants and in addition to the 1,369 sq ft main house this one has an entire secondary structure behind it – just imagine the short-term rental income potential! Was asking $679,000 and sold for $655,000. 5970 Graciosa Dr: Yes you can still get a home in the Hollywood Hills under 1 million! It’s on a teeny-tiny steeply sloped lot and needs work but this 794 sq ft cottage comes with hardwoods, a bonus loft space, vaulted ceilings, and peek-a-boo views. Was asking $699,999 and closed for $685,000. 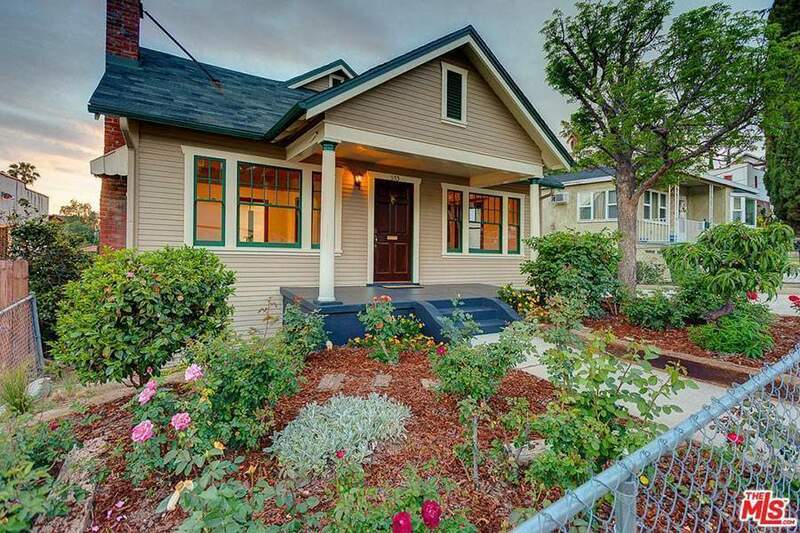 329 Vista Pl: This 1,325 sq ft craftsman faces a lesser-known mostly unused walk-street and is accessible from the alley behind the home, which is technically Fisher St. That puts most guests entering the home through the back door and kitchen. If you can get past the backwards orientation it’s a great home in a historic pocket on a private lot with a ton of potential. Was asking $575,000 and sold for $605,000. 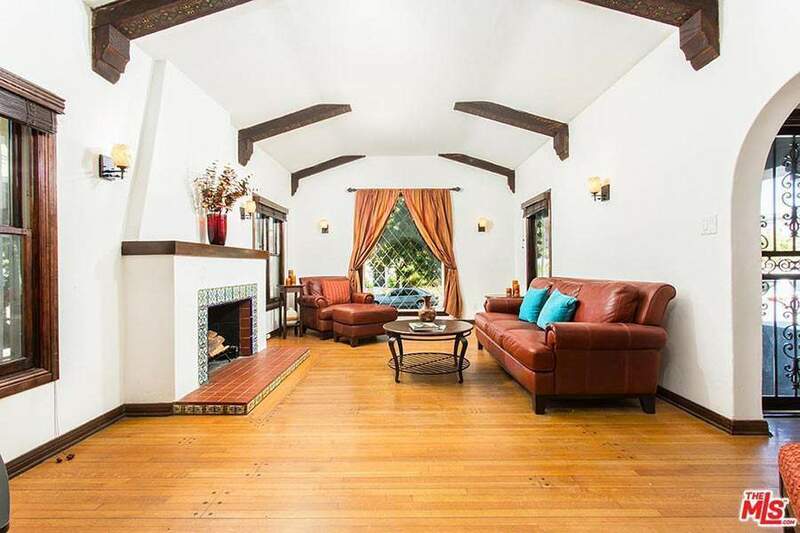 2622 Birch St: This Alhambra Spanish character home could use a scrubdown and some serious updates but it’s got a massive 8,000 sq ft flat backyard with a pool, Batchelder tile, built-ins, and I would be willing to bet there are some hardwood floors under that old carpet. Plus it’s in a super family-friendly area with a great school district. Was listed for $510,000 and closed for $670,000. What to expect with a $600,000 – $700,000 budget: This price point will give you plenty of options, depending on whether size, finishes, or location is most important to you. You can find a small updated home in a hot area or a larger home that needs some work in a more off-the-radar area. Like the ones under it, this too is a competitive price point with multiple offers being the norm so it’s good practice to set your search about $100,000 under budget, leaving some wiggle room for a potential bidding war, closing costs, and any unexpected repairs you may encounter. Ready to start looking? Click below to see what’s on the market now and click here –> to contact me today!